It can be hard to find a gift that’s as special as Mom. But with a little bit of brainstorming, research and creativity, you can give her something unforgettable. Here are some tips to help you hunt down the perfect present. Does she like dogs? Watching romantic comedies? Planting flowers in the garden? Write down anything and everything Mom likes, just to get ideas flowing. Once you’ve made a list, you can begin to think of gifts that celebrate her interests. 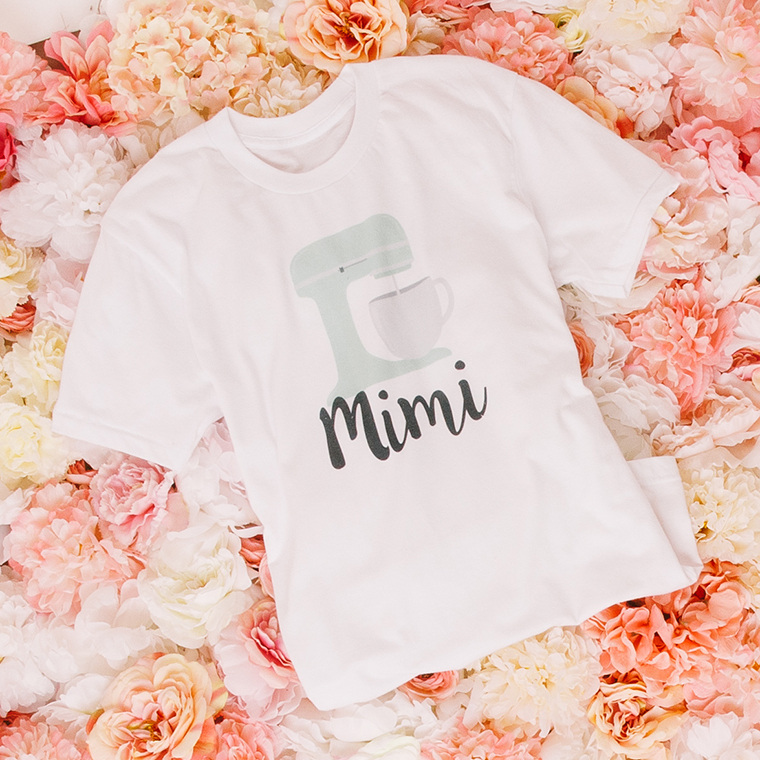 Maybe a funny pet-related graphic tee, an art print featuring her favorite movie quote or some cute signs to put next to the plants in her garden. Social media can be an insightful way to find a gift she’ll love. Check out her Pinterest board to see what she likes (ex: fashion, decor, books), look through her Facebook and Instagram posts or hunt down her Amazon wishlist. You might just find exactly what she’s looking for—or at the very least, get some more inspiration. You can also simply search the web for gifts inspired by Mom’s interests from your list above. Once you’ve completed these two steps, it’s time to find her gift. Here’s how you can make it memorable. Gifts from the heart speak volumes. If buying her something doesn’t seem special enough, try the homemade route. Put together videos and photos together into a video for her (be sure to have tissues on hand), a homemade succulent planter that spells out “Mom” (you can also use silk flowers), fancy coasters or this sweet bouquet. Not to mention a homemade card. Meaningful words can be the most heartfelt present of all. If you can’t decide on one gift for Mom, a gift basket is the perfect way to go. To tie everything together, give your basket a theme. If Mom loves going to the beach, give her a kit filled with a mix of fun, unique items and a few practical ones. Some ideas include stylish sunglasses, sunscreen, her favorite snacks, waterproof speaker, a microfiber towel (so sand brushes right off), towel anchors and more. Or maybe she’s a bookworm. Give her a couple of new books, a tote with her favorite book cover on it, a mug, a candle that smells like books, a vintage book Kindle case, a graphic tee or whatever else you think she’ll love! What do you get the woman who has it all? Something personalized. Does your mom wear her heart on her sleeve? Get her something that helps her really display that. To show her love of her kids or grandkids, get her a necklace with their birthstones. To make her style stand out, put her initials on a fashionable purse. 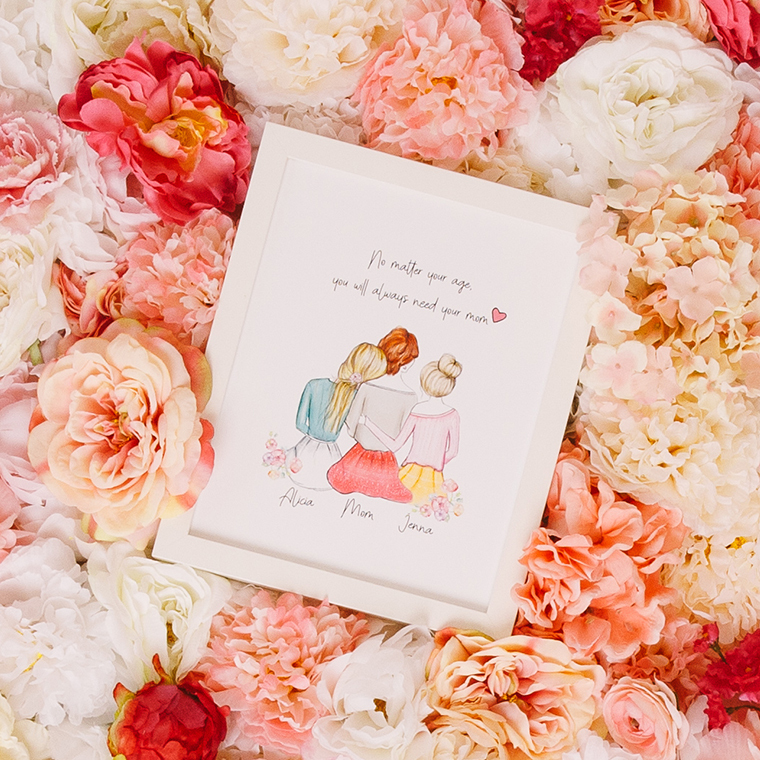 Or get someone to create a beautiful personalized portrait of your family. Getting a gift is nice, but creating an experience can be even more memorable. For example, if you want to make Mom something homemade like facial scrubs (this simple coffee scrub is divine), surprise her with an in-home spa experience. Or if your mom a fan of tea, get her a fancy hat and take her to a local tea shop that serves an afternoon tea fit for a queen. Or make finding her gift really exciting. On the topic of food, you really can’t go wrong with a tasting—whether that’s wine, coffee or chocolate. She’ll get to sample her favorite food or drink and get to spend time with you! Last of all, if your Mom likes puzzles, create a scavenger hunt to find her gift or orchestrate an in-home escape-room experience. It will be a memory she won’t forget. We hope these tips helped! 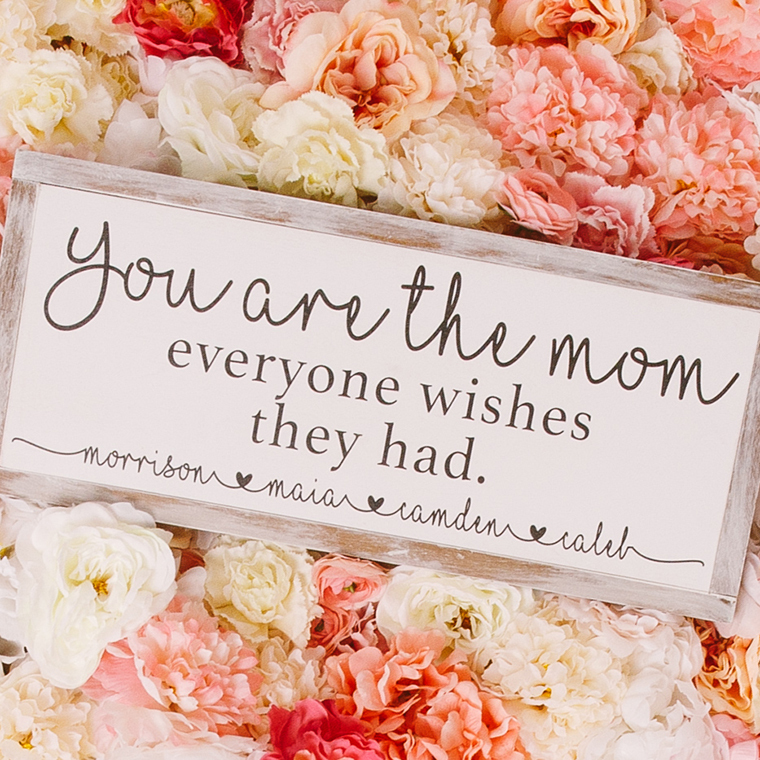 What’s the best gift you’ve ever received as a mom or given to your own mom? Share in the comments below. 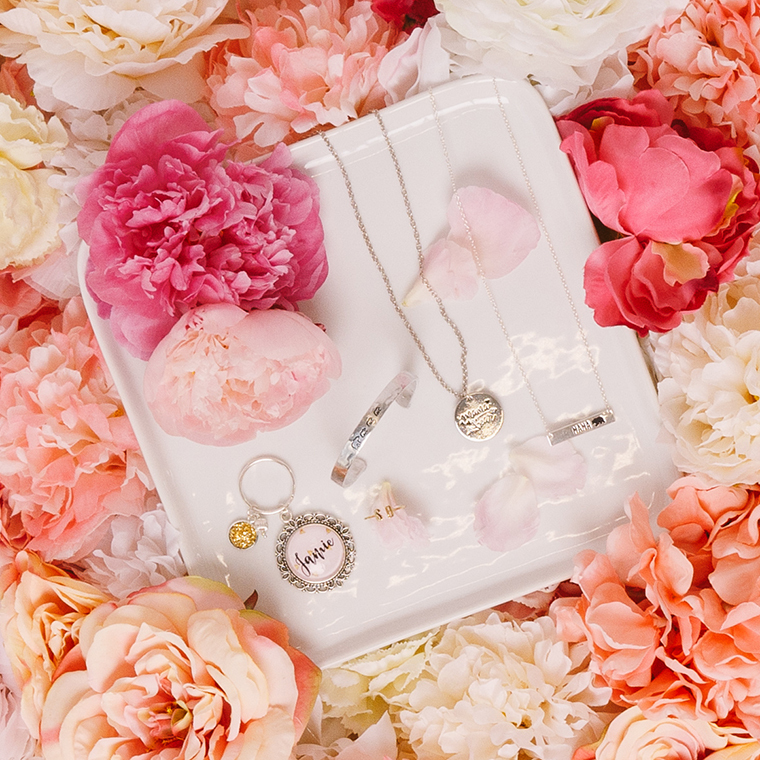 And to find even more unique Mother’s Day gifts, check out our Mother’s Day collection. Jane is 8 and we can’t wait to celebrate! 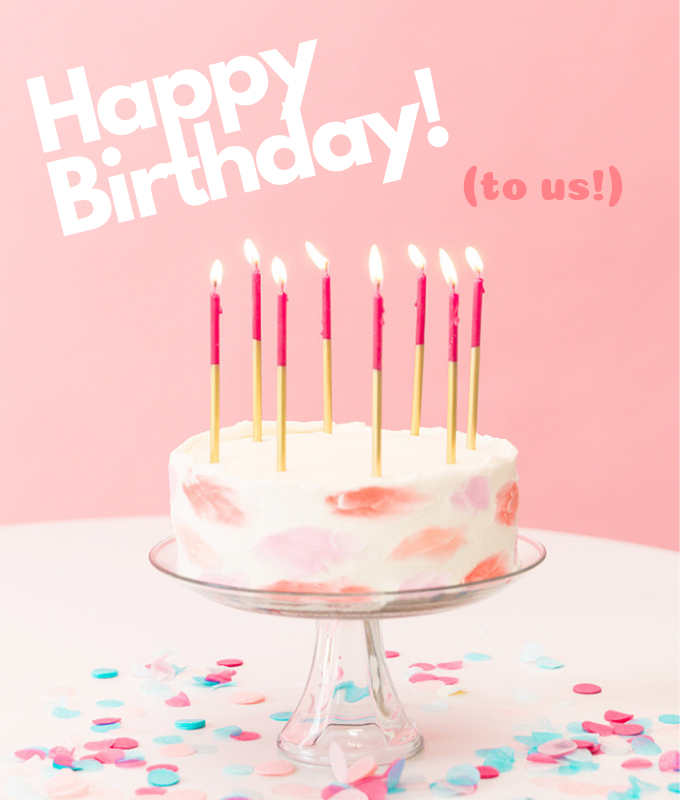 This week we’re having a giveaway, sweet savings and even more fun surprises. But before you begin the birthday fun, enjoy these 8 fun facts about Jane. 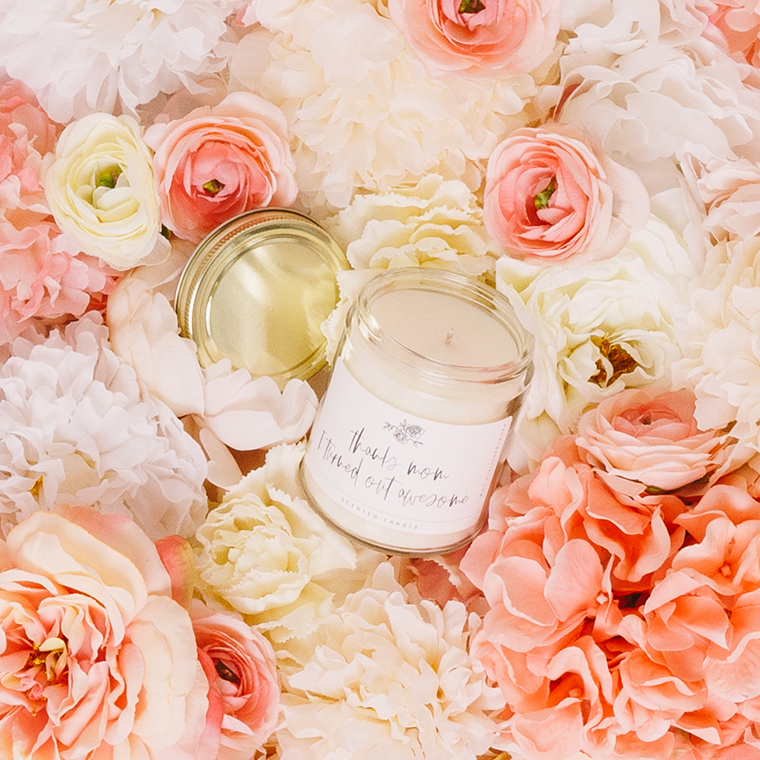 Jane was founded by husband and wife duo Mike and Megan McEwan as a way to provide for their family after the company Mike worked for went out of business. But Jane has become so much more to them over time. Mike and Megan love seeing sellers be able to better provide for their families as they grow their businesses on Jane. Learn more about Jane’s beginnings in this video. 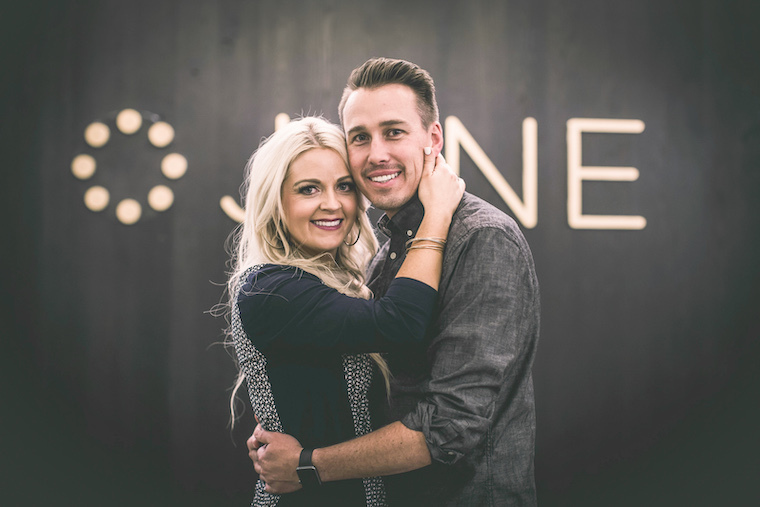 Jane is located in Lehi, Utah in a little technology hub many refer to as Silicon Slopes. The area, which includes Provo, Salt Lake City and Park City, gets its name from the surrounding mountains and—of course—the software and hardware companies that thrive here. See if you can spot Jane on this list (and find our logo in the image below). Can you believe that we started with just one deal a day? 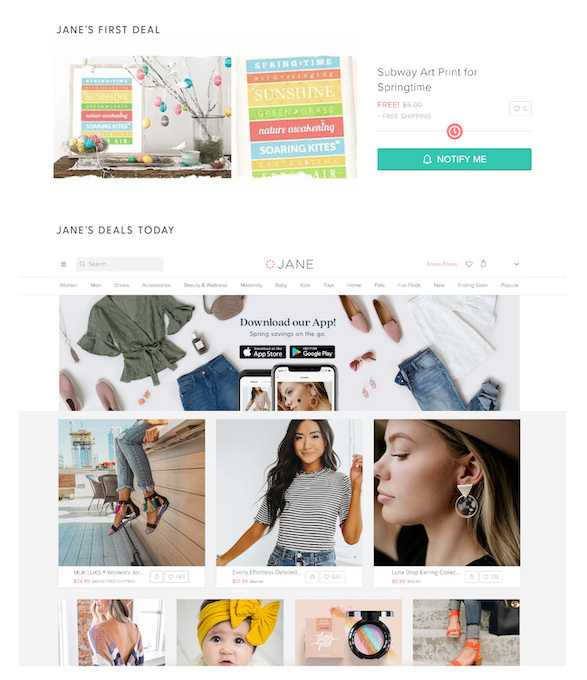 Eight years later, you can find anywhere from 350-500 new deals on Jane every day. In January 2012, a record was set when one of our deals sold over 2,200 items in 3 days! It was this darling, handmade felt flower deal from bloomie’s handmade. To see which deals are going fast on our site right now, check out these trending deals. If you follow us on Instagram or Facebook, you may know that Jane’s original name was Very Jane. But do you know why? While the goal was always to have the name just be Jane, the web address “jane.com” was too expensive. So we used Very Jane for a few years until we could afford to change it to today’s short and sweet name, Jane. We have several sellers who have sold on Jane since the beginning, like Liam & Co. and Fancy Frills to name a couple. 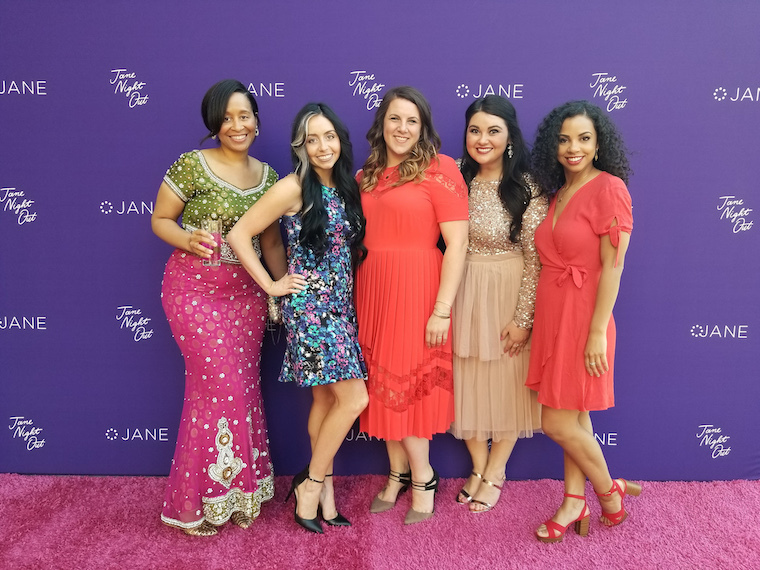 We’re grateful to all of our sellers for being part of this Jane journey! The Jane office is not only beautifully decorated, it also has tons of fun rooms for employees to enjoy. 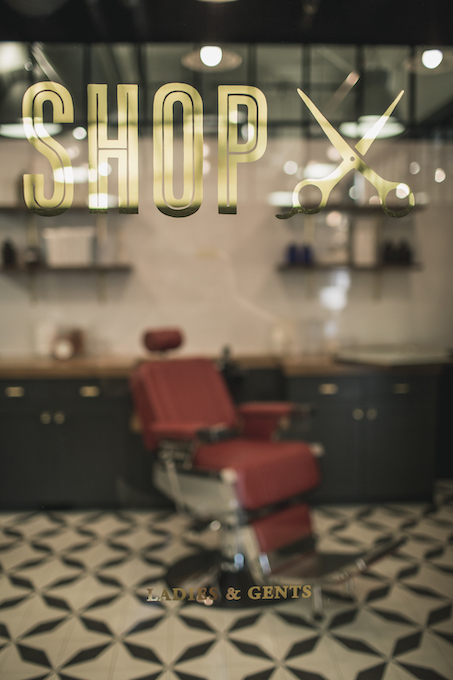 One of our most unique rooms is the Jane barbershop, which is complete with talented stylists and barbers. Employees can get scalp massages, trims, blowouts and braiding services onsite. As you can probably guess from the name and the products sold on Jane, most of our customers are women. But you may not know that our sellers are, too! We support over 1,500 women-owned businesses, and more than half of our Jane employees are female. Just a few of the reasons why we love celebrating International Women’s Day and showing our support for the strong, wonderful women we get to work with every day. 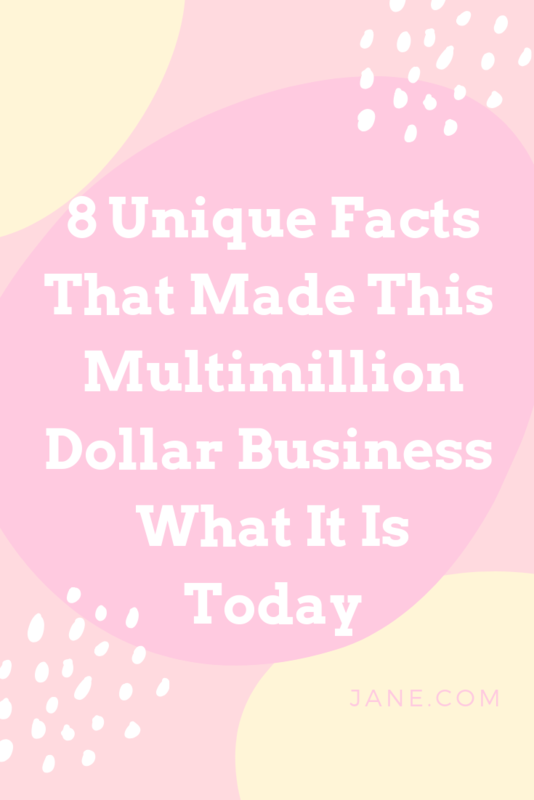 How many of these did you know? Tell us in the comments below. And enjoy the birthday festivities! Today is egg-stra special, because Jane’s annual Easter egg hunt is live! 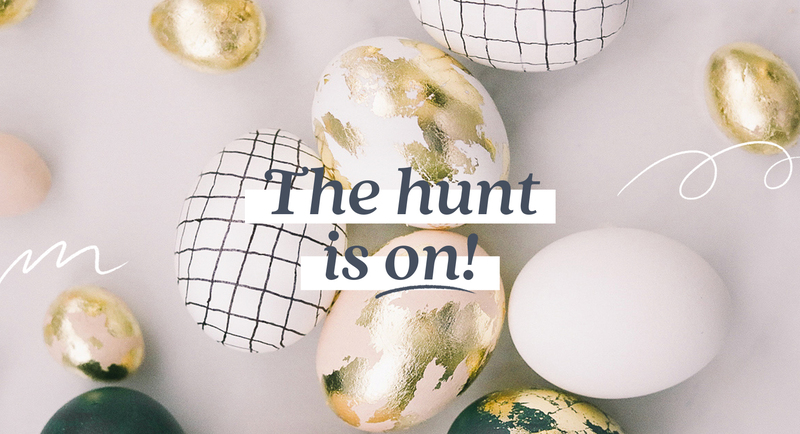 Every day we’ll be hiding about 10-25 eggs on our site for you to find. With over 100 chances to win and over $5,000 in prizes, it’s an event you can’t miss. Start searching now! 147 winners + over $5,000 in prizes! 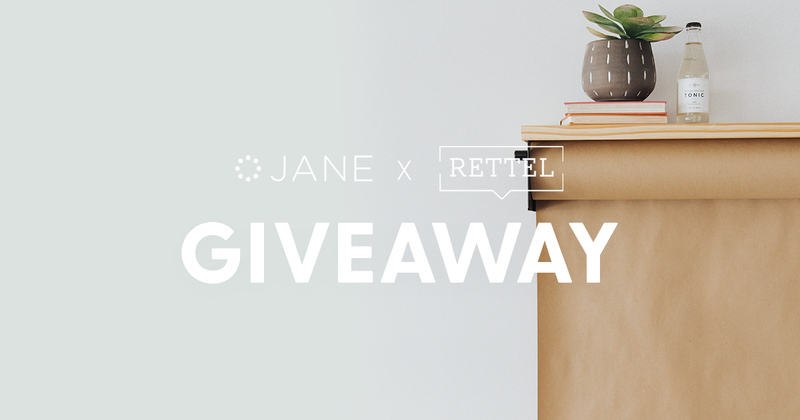 Head over to Jane.com/giveaway to win!